We have launched our newest product at the 27th Annual Coffee Expo in Seattle (USA). Meet the LUX glass. Appreciating the passion for leaf and bean by growers, roasters, baristas and folk in between, we were inspired to create a glass that was just right. Developed with skilled baristas sharing their intimate knowledge, the LUX glass was born to stir up the senses. The LUX glass architecture is striking. Made from premium borosilicate glass, the handsome bevelled exterior refracts light into the LUX glass while providing grip for your hand. When brewing a beverage of equal ratios, the 6oz size supports the harmonious balance of coffee to milk. The angled walls and curved internal design make excellent framework for barista’s to pour a great coffee and perfect their latte art. 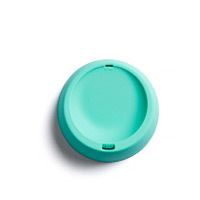 The thickness of the glass gives a delicious feeling on the lips and insulation for your fingers. The sturdiness and durability of the LUX glass makes it ideal for use at home, on the road, adventuring outdoors, in a bustling café, espresso bar or any suitable commercial environment. At JOCO, we aspire to craft the best products. 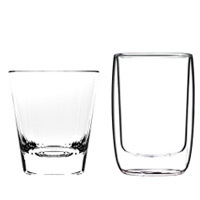 Our superb LUX glass creates the most favourable drinking experience for lovers of a fine brew. The LUX glass will be available to order JUNE 2015. 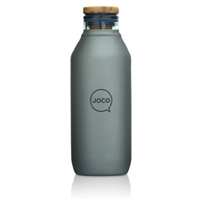 Subscribe below to JOCO and receive up to date alerts, from us, for the LUX glass arrival. 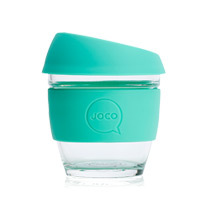 Watch the JOCO LUX glass movie here.